A healthy way to cook food is to use steam, as no oil is required in the cooking process. Almost anything can be steamed, from fish and vegetables to dumplings and puddings. 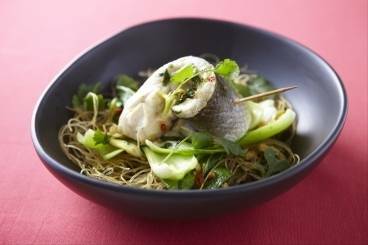 Fillet of sea bream steamed with tarragon and served on a bed of wok-fried vegetables with sesame seeds and a mussel jus. 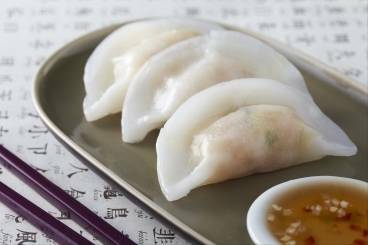 Steamed Asian dumplings with prawns, chicken and wild mushrooms. Steamed dumplings with a prawn, chicken and wild mushrooms and flavoured with chilli, ginger and chilli. 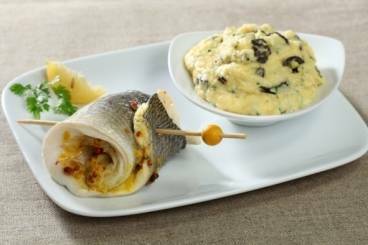 Delicately steamed cod with pesto served with a flavoursome risotto of asparagus and parmesan. 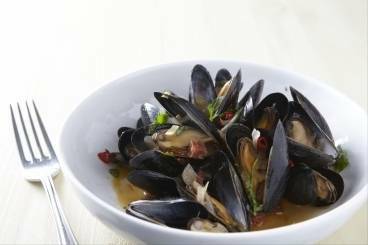 Mussels cooked in a tomato sauce with peppers, courgettes, capers and chopped parsley. 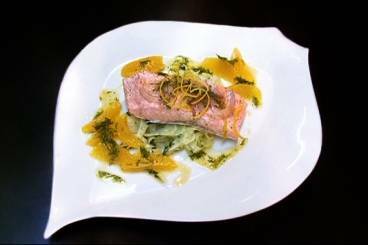 Steamed fillet of salmon wrapped in spinach served with clams in a winter broth.